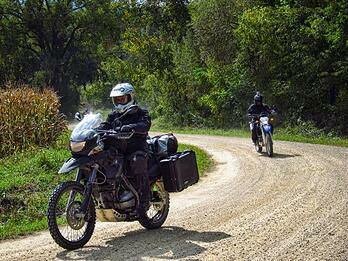 Contact Chad About the Trans Wisconsin Adventure Trail Dual Sport Tour! Understand that a minimum of 6 riders may be needed for this tour. Cancellation is possible otherwise. Be prepared for any possible delays due to injury or mechanical failure of other riders. This tour, like others, is meant to feel like a "team" event. We will not leave any rider stranded or in danger. 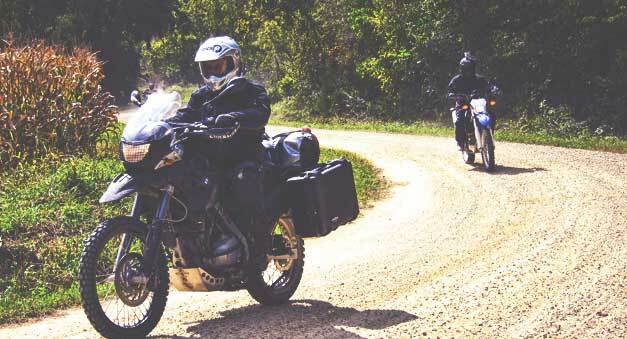 Type of Tour: Motorcycle guided, 50/50 on & off road riding, meant for riders with significant prior off road riding experience (registration for this tour will require discussion with us about how your riding skills will match the terrain.) - Please note, this is a "bring your own bike" motorcycle tour. We do not have rentals available for this trip, but can refer you to a couple of local rental operations that might be able to help. Tour Distance & Terrain: 630 miles of approximately 50/50 paved vs. non-paved riding. The ultimate variety of dirt, mud, sand, and gravel terrain with moments on pavement and the truest feeling of "adventure riding!" Countless photo and story telling opportunities! Riding gear, helmets, equipment, etc. *Trip package is priced at a 6-Rider minimum. Trip may still continue with fewer than 6 bikes, although adjustment in pricing or Inclusions may be necessary. Home to a short riding season due to long & tough winters, the State of Wisconsin has some great summertime dual sport motorcycle riding for us, and the Trans Wisconsin Adventure Trail is the best way to experience it! This 3-Day adventure ride takes us through a mix of pavement, dirt, sand, gravel, and mud from the Illinois border to Lake Superior. At times within sight of the great Mississippi River, winding through tiny towns, and taking advantage of multiple viewpoints, we enjoy various State and National Forests along the way. With the opportunity to actually "dip" your bike into the frigid waters of Lake Superior at the finish, this ceremonious location still allows many riders to ride home in time for work on Monday. All riders arrive in Galena, Illinois where your hotel room awaits you and we'll have a pre-trip meeting to and cover any questions riders have. Rise and shine, nice and early...there's a long ride ahead! Our adventure starts with rolling hills, pavement, and the easiest of the gravel riding spread throughout the day. Crossing the Mississippi River and heading briefly into Iowa, the area of Prairie du Chien will serve as one of our thru points on the way to the Black River Falls area. The best part of the first day just might be that the Trans Wisconsin Adventure Trail gets even better from here on! With almost 2 more degrees of latitude already behind us, we're likely to be feeling some extra cold descending upon us from Canada. Using the Clark County ATV trails and a mix of other unique backroads, about 80% of our day will be spent off-pavement on the way to the Hayward and Clam Lake area of northern Wisconsin. 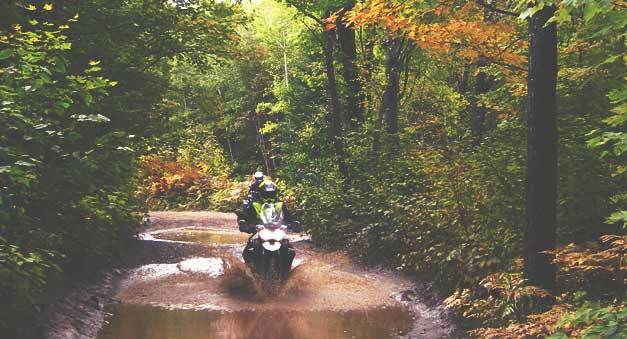 Riding under tree canopy like this is an absolute treat that too few adventure riders get to enjoy! Although reservations might not even be possible, we'll still enjoy a late breakfast from the enormously popular "Delta Diner" and experience one of northern Wisconsin's most unique and popular culinary options. Mostly sand-riding will make out the remainder of this half-day ride, as we charge closer to "Wisconsin's northernmost post office" in the town of Cornucopia. With the chance to touch the frigid waters of Lake Superior at our ultimate moment, if you're like most riders, you'll want to turn around and ride the Trans Wisconsin Adventure Trail back home! 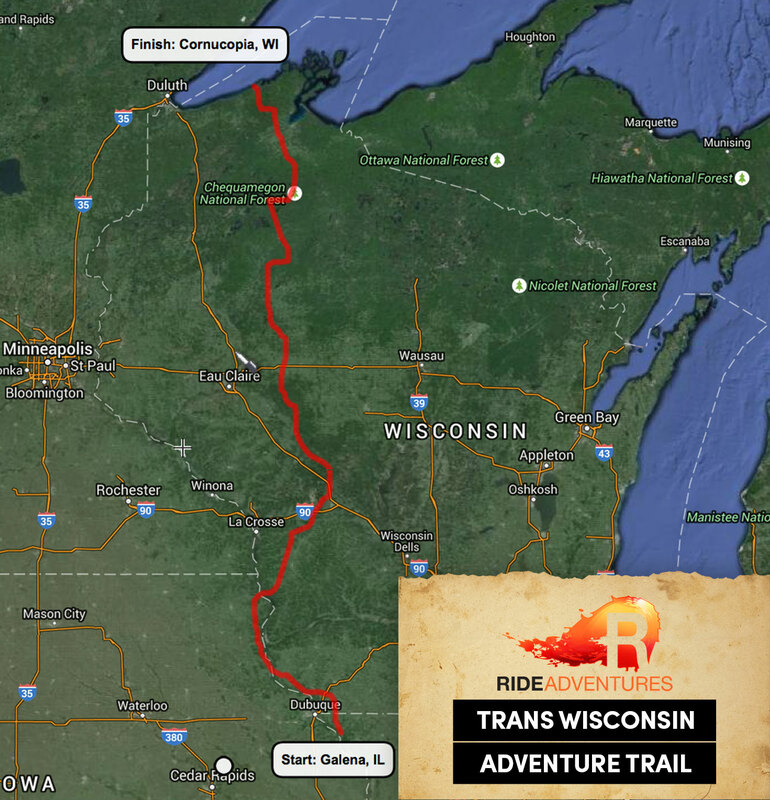 CONTACT US About joining this all-inclusive 3 day tour of the Trans Wisconsin Adventure Trail!! !